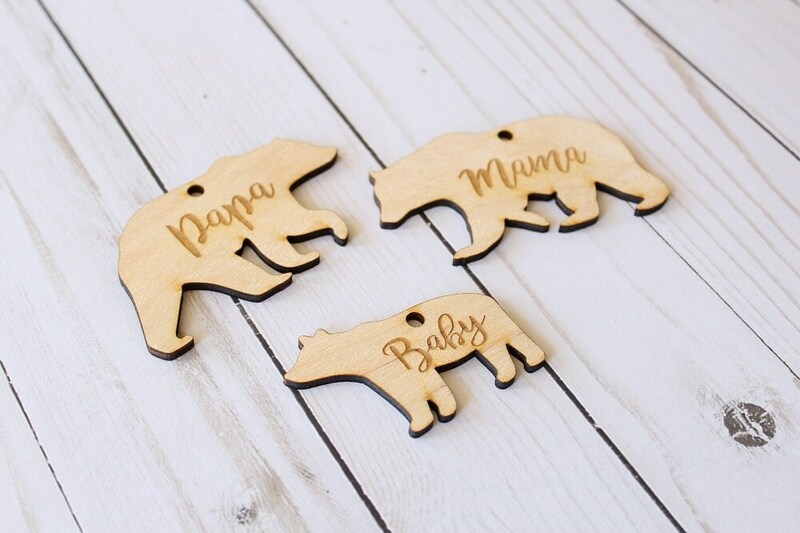 These adorable bear ornaments would make the perfect addition to your country Christmas tree this year.! Select ornament style and quantity upon checkout. 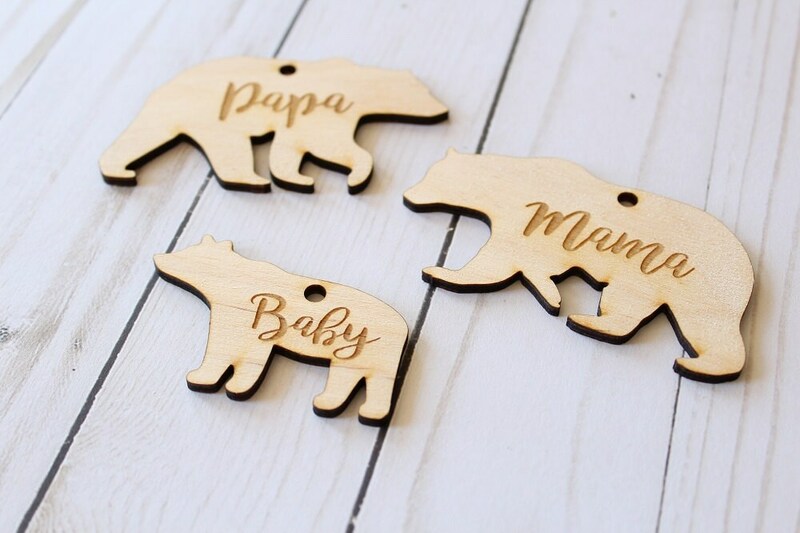 Our bear ornaments are laser engraved and cut from 1/8" baltic birch. 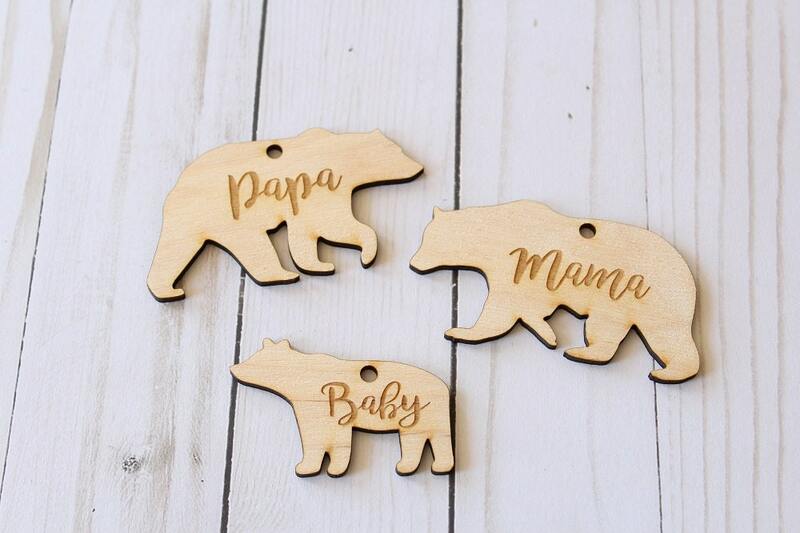 Mama Bear: 3.5" x 2"
Papa Bear: 3.5" x 2"
Baby Bear: 2.5" x 1.75"